You could be driving in a 2016 Kia Forte today while staying within your budget. Lawrence Kia is offering a 2016 Forte for only $14,900! 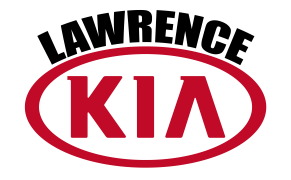 Lawrence Kia is the only dealership in Kansas City offering a Complimentary True Lifetime Warranty. No matter where you live, as long as an ASE Certified mechanic works on your Kia, your warranty goes with you anywhere in the USA. Since Lawrence Kia is one of the newest dealership in our market, we are working really hard to build our customer base. The best way we know how to build our customer base, is by offering the best price right out of the gate. However, offering the best price in the market leaves us with little to no room to negotiate. Good news for you is that this takes the unpleasant haggling and back and forth completely out of the car buying process. This is why our customers love doing business with us. Less time at the dealership, More Fun with Your New Car! While not every customer needs a guaranteed credit approval program, we understand bad things happen to good people. If you bring home $1,500 your credit is approved. Why a 2016 Kia Forte? 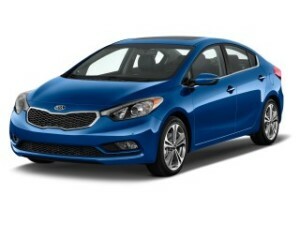 Thes budget friendly, Kia Forte LX is a 4-door sedan with all the features everyone loves in the Kia brand. With a specious interior and easy to use component controls, this vehicle is a great choice. Considered sporty in the Kia model line-up. With a 15-cubic foot truck, this Forte is ready for all your camping and road trips. Oh, and did we mention Bluetooth and USB smartphone ready, split folding back seat and the LED headlights are standard in the Forte LX model.